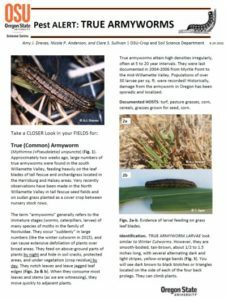 OSU’s extension team in seed crops has issued an alert regarding an emerging pest in Willamette Valley grass seed crops. A new publication addresses true armyworms and potential control measures. Posted in Grass Seed Crops, Pests, Seed Production, Uncategorized.